Black Friday 2018 is approaching and so are the huge discounts. So are you ready to grab all the massive and impressive discounts offered on this unique occasion once a year? If you don’t know, let me tell you that like every year, Black Friday is again this year all set to save bloggers and web designers thousands of bucks. Speaking of Black Friday discount offers, web hosting companies are no exception. Compelling discounts are being offered on the hosting plans. If you are new to blogging or fed up of your current web hosting, this is high time you seized one of those lucrative one year hosting for you. Either a shared hosting, VPS or managed WordPress hosting, all types of hosting plans, are waiting to be picked with promises of colossal discount offers. I’ll keep updating this post until Cyber Monday so that you could not miss out on any stunning deal. Anticipating enormous sales, some hosting companies have declared there Black Friday offers in advance even as I’m writing this post. So, friends, let’s get started. A2 hosting has always been my favorite hosting and as a result I have always recommended it. It’s not for nothing that A2 hosting deserves so much praise and recommendation. But this hosting has earned it all. Now it, sort of, reigns unanimously specially the share hosting world, outstripping the hosting magnates like HostGator and BlueHost because of its seamless service and splendid support system. Chahe server speed ho, price ho, customer support ho ya fir server resources A2 Hositng is waqt mere hs number 1 hai. Its server speed, price, customer support or server resources, everything, is par excellence, when it comes to A2 hosting. It’s next to nothing that you are ever going to be disappointed, if you go for it. In short, it leaves almost nothing to be desired and simply can be called number one hosting at present. A2 Hosting is going to blow you away with its new Black Friday mega offer. An irresistible 67% discount offer. Awesome, isn’t it? You can avail the offer from November 21 through November 27. For the last few years Hostgator’s reputation, no doubt, has gone down, mostly because of its slow customer support, vulnerable servers and its always being intent on selling addons. That said, there’s no denying that Hostgator is one of the first-rate companies which can still be relied on and recommended. 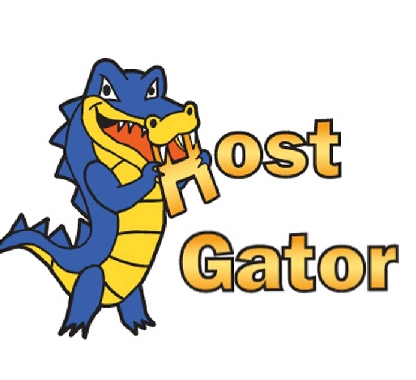 Prices of HostGator’s sharing hosting plans are likely to be slashed up to 80% on Black Friday and Cyber Monday. But, remember you can enjoy the special prices only for a duration of few hours on the said days. As of today, HostGator is yet to disclose its discount deals, but don’t worry, you keep in touch with this post and we’ll keep you posted about HostGator’s discount deals. Namecheap deals will run from 23 November. Discounts will be huge. So keep alerted. It has not been a very long time since HostGator and BlueHost used to be rival companies. But then EIG, which has been known to acquire hosting companies, acquired HostGator and BlueHost one after another and now HostGator and BlueHost are two names of one company. And not just theoretically, practically also. Both companies share customer support technology and even data centres. BlueHost has already come up with a special page for Black Friday discounts and like HostGator, BlueHost is also determined to allure you with the promise of 60% discount. But you feel disappointed and cheated when you are directed to the checkout page as you come to know that the discount is applicable only if you are purchasing the hosting for three years. The same thing goes for HostGator. Bigrock has started their Blackfriday sale and you can grab deals. If you want to buy hosting from Bigrock go and grab one at 55% discount. Bigrock, Hostgator, BlueHost, Arvixe all these giants has been acquired by EIG and EIG is selling its own stuff taking advantage of these big names. So keep in mind if you are looking for an alternative host to Hostgator or BlueHost, don't go for Bigrock or any other EIG acquired hosting. Because you will find very similar hosting services with similar CPU usage, RAM usage etc. If you are looking for a better host I will recommend you to go for A2 Hosting cPanel Swift Plan with addon Performance Plus. Siteground is primarily known for its pristine support system. Its customer support is matchless and best of its kind. As far as hosting quality is concerned, Siteground provides a reliable service. No doubt, it is not an affordable hosting, but at least it is not one of those companies which we call ‘a wolf in sheep’s clothing’ as each of its plan is candid and mentions clearly how many visitors per account can be handled by that plan. Still, I’d say that the hosting plans of Siteground are a little overpriced. But if a high price is not your concern at all, Siteground is really what you were looking for. Siteground like every year is expected to run huge discounts on Black Friday and Cyber Monday this year too. But we need to wait for now. I am not well aware of this new player. But when it comes to online reviews I can say that this euoropian company is doing something different to provide good hosting services. They are offering 60+% discount on black friday. No GoDaddy Black Friday deal is available at the moment but I am keeping an eye out for. I’d avoid recommending a normal hosting plan of GoDaddy, because it works well only for a static website. But as for WordPress, a managed WordPress hosting of GoDaddy is really incredible as well as affordable. Its managed WordPress hosting has always garnered much praise from critics and experts, and admittedly it has really been a reliable hosting. One thing that I need to mention here is that GoDaddy’s managed WordPress comes with only a minimal control panel and if you are looking for a feature rich hosting panel like cPanel, your search obviously doesn’t end here. Even it lacks a file manager. You are able to upload and edit files only using SFTP, which is pretty much the same as with DreamHost web hosting. The bottom line is GoDaddy’s managed WordPress hosting is faster,cheaper and more reliable than any other managed WordPress hosting. 1&1 or more accurately 1&1 IONOS is normally not a recommendable hosting at all; however, as we are talking here about Black Friday deals, I feel obliged to mention it to give you an exhaustive idea of Black Friday deals. Still, it is worth pointing out that I myself have fallen prey to the very luring discounted hosting plans of 1and1. At present I am running some sites on this host to recover the bucks I paid them. Literally 1and1 is an average web hosting and if you buy its Pro Plan you can get good uptime, average site speed. But in the name of technical support you have no choice. The only way to connect them is phone until you are in understanding (specially the American accent) and speaking English. If you con't do that you can't receive support via email or Live chat which is worst. Additionally their server support fewer WordPress plugins. If I remember very well, I tried InMotion hosting some four years ago and frankly speaking I’d say that the service really got on the wrong side of me. Its CPU usage service is very tight. For example, my website was not a heavy one, didn’t have a heavy plugin consuming resources and had nominal trafic; InMotion suspended my account and told me to upgrade my plan to a VPS as my site was allegedly consuming more resources than its fair share. In turn I preferred to change my host and switched to A2 hosting and believe me with my new hosting the same website worked smoothly. I tried the same website on HostGator, it also posed no issues. It was then that I made a note to never recommend InMotion web hosting again. It has been four years since and I’m not very sure about the present service standards of InMotion hosting. I don’t know what kind of service nowadays it is providing. However, I have noticed recently many bloggers recommending InMotion web hosting service, so its service might have improved over time. But the problem is that InMotion doesn’t have a trial offer and to purchase it for a month, you need to spend more than twenty five dollars, which is huge just for a trial. I will be updating this page until Cyber Monday. So stay tuned.